The evolution of extensive and complex rooting systems during the Devonian had significant impacts on global terrestrial ecosystems. Despite the transformative nature of roots, detailed understanding of how this fundamental organ evolved is lacking. Leafy stems of the Cottonwood Canyon lycophyte. (A) Leafy stem. (B) Stem mat consisting of numerous leafy stems in shale layer. (C) Leafy stem. More details in Matsunaga and Tomescu 2016. 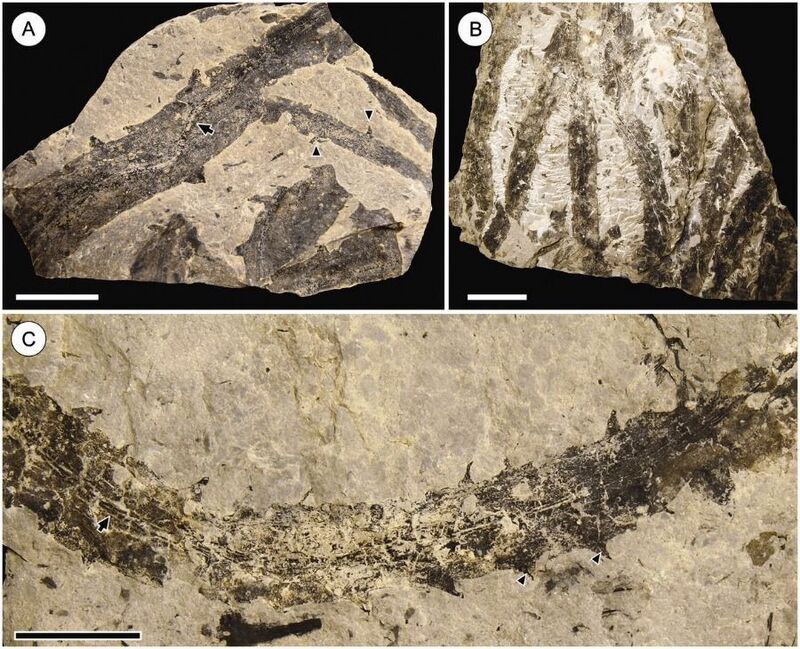 Matsunaga and Tomescu document the rooting system of an Early Devonian basal lycophyte, including its overall architecture, patterns of growth within the substrate, and structural homology. The morphology of this rooting system has important implications for understanding the evolution of lycophyte roots and illustrates early terrestrial plant–substrate interactions.